Okay so I found this amazing recipe on Pinterest the other day and just had to give it a go. 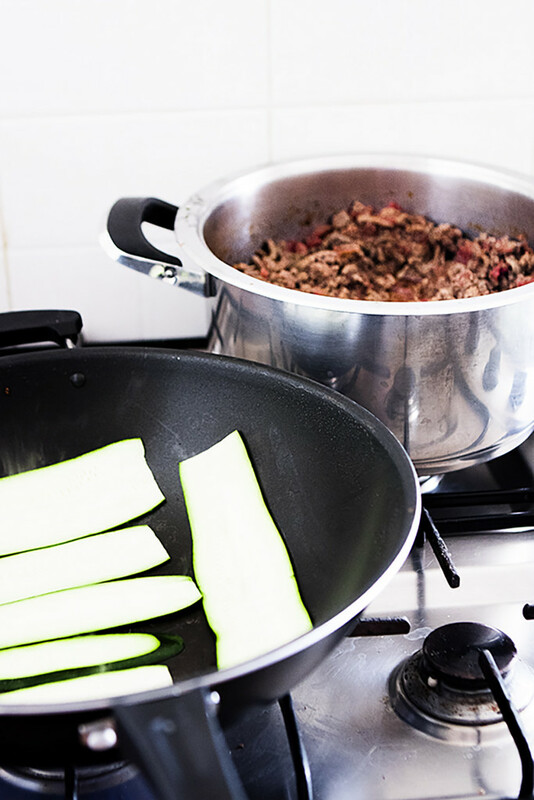 I’m alway on the lookout for ways to replace carbs in cooking. 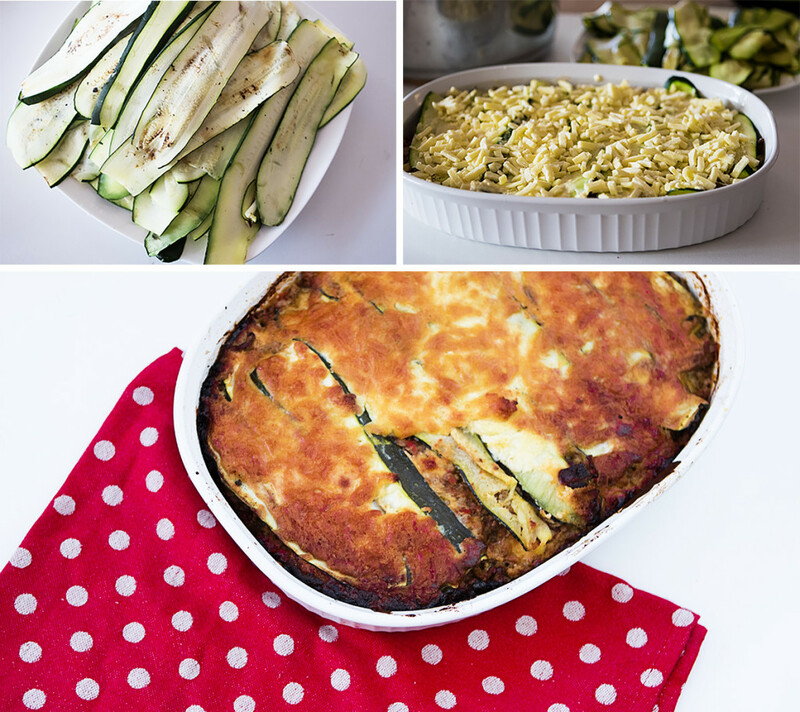 Zucchini is one of my favourite methods because it’s so versatile! In a medium sauce pan, brown the mince and season with salt. Drain the liquid and fat and set aside. Add olive oil to the pan and saute the garlic and onions until they’re brown. Place meat in a large pot and mix in tomatoes, basil, salt and pepper. Leave on low for about 30-40 minutes (covered). we want to reduce the liquid here so we have a nice thick sauce. Sprinkle with salt and set aside for 10 minute. This is to draw out the excess moisture. After 10 minutes blot off the water with a paper towel. Brown the zucchini slices in the fry pan. Allow for up to 90 seconds on each side. Once brown, again blot off any extra moisture with a paper towel. In a medium bowl mix ricotta cheese, parmesan cheese, cream and egg. 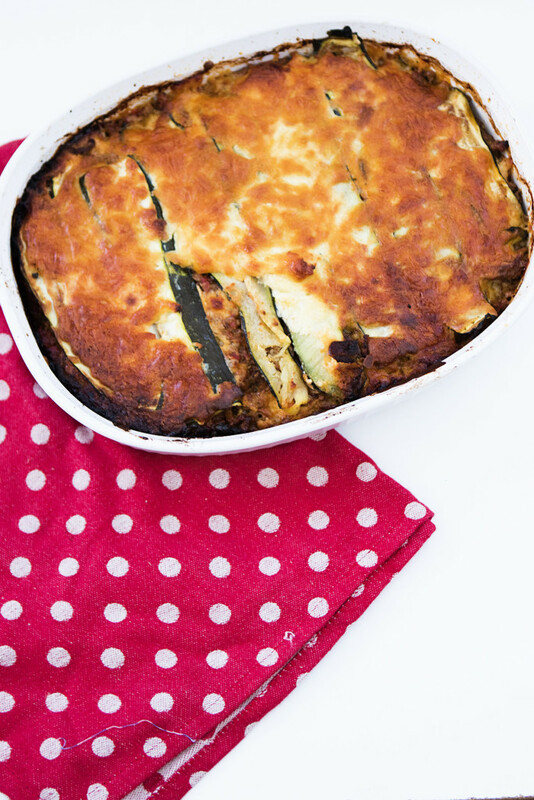 Spread some sauce on the bottom of your lasagne dish and layer the zucchini to cover. Then pour over some of the white cheese mixture making sure you spread it out evenly with a spoon or spatula. Finally, sprinkle the top with the mozzerella cheese. Keep repeating these steps until the dish is filled to the top, making sure that you top it with sauce and mozerella. Place it in the oven and bake it for 45 minutes covered, and a further 15 minutes uncovered. You’ll want to let it stand for about 10 minutes before serving. Enjoy! I certainly did!! Oh, and it’s awesome to make in advance so you have a yummy lunch or two prepared for the week!